Heaven is rejoicing, as there is a new angel who has joined the choir! Trudy Haecker-Batey, after a year long battle with cancer, passed away in Seguin, Texas, Wednesday, April 22, 2015. Trudy was only 67 years old. The youngest of three children, born to Marvin and Sade Lee Haecker November 11, 1947, in Seguin, Texas. 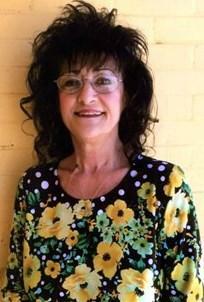 Trudy grew up in the family home located on Center Street in Seguin and spent most of her life in her hometown. She attended and graduated Seguin High School, and went on to attend Texas A& I University in Kingsville, Texas, where she was most proud of her Bachelor's degree in the field of Education. Trudy lived out her love for education in a career of teaching at the Marion Middle School for 24 years and retired from teaching in 2004. In 1984, Trudy married Dan Batey and later built their dream home in Seguin. Dan and Trudy enjoyed vacationing in Colorado, traveling there each year, spending about a month in the mountains where Dan would fish and Trudy would read. They also enjoyed making quick jaunts to Louisiana, certain they would beat the odds at the casinos. Trudy loved any chance of spending time with her granddaughters, Kelsie and Mia and made it a priority to be involved in their school activities and awards as they brought her great joy in life. She loved the time spent with the girls, traveling on family vacations to Florida, California, and even a Jonas Brothers Concert in Las Vegas. Trudy's great disappointment this year, was learning that the severity of her cancer would not allow for her participation in Kelsie and Mia's life achievements such as their graduations, weddings and great-grandchildren. Trudy is survived by her husband Dan Batey, her daughter Michelle and son-in-law Mario Alvarado, and two granddaughters, Kelsie and Mia, all of Edinburg, Texas. She is also survived by her sister Darline and brother-in-law Duane Rutherford of Houston; her brother Gary and sister-in-law Terry Haecker of Austin, as well as, three nephews and three nieces, and their families. Trudy is also survived by her beloved Bunco and Bible study girlfriends, where she enjoyed the friendly competition of Bunco and the enlightenment of their bible studies as they explored the word of God. Trudy is preceded in death by parents, Marvin and Sade Lee Haecker, as well as, her great nephew, Thomas Dylan Haecker. Services are scheduled at 2:00 pm, Sunday, April 26, 2015 at the Goetz Funeral Home in Seguin, Texas. Interment will follow at the San Geronimo Cemetery, Seguin, Texas. P.O. Box 421, Marion, Texas 78124. "We are sadden to hear of Trudy's transition Sophie and Erwin Franke, Pahrump, Nevada"